Below is a recent assessment of mine that I believe is a great topic to share! A critical analysis of the literature pertaining to effectiveness of exercise and tricyclic drugs in the treatment of depression amongst adolescents. The purpose of this literature review is to discuss the traditional and scientific treatments of depression amongst adolescents. Depression, a common disease amongst adolescents can often continue or reoccur throughout adulthood if left untreated (Cox et al. 2014). By critically analysing the views expressed in Exercise for Depression, (Cooney et al. 2013), Exercise in Prevention and Treatment of Anxiety and Depression Among Children and Young People (Larun et al. 2006) and Tricyclic Drugs For Depression In Children and Adolescents (Hazell & Mirzaie, 2013); this paper will examine two different types of treatments used to treat depression, specifically, the traditional and therapeutic treatment, exercise, compared to the evolving, yet accepted scientific approach of prescribed antidepressants. Is exercise more beneficial than tricyclic drugs in the treatment of depression amongst adolescents? 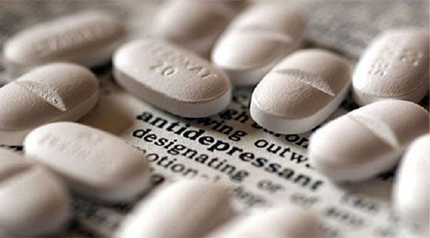 The scientific approach to treat depression is commonly through prescribed antidepressants. A costly, unnatural alternative to traditional medicine with negative side effects. Depression is characterised by a reduction in physical vigour and activity, feelings of severe despondency and dejection (Harper, 2010), causing day-to-day life to be crippling and dysfunctional, indicative of a high risk of suicide (Burgess et al. 2001). Unfortunately in today’s society, people are less inclined to utilize traditional medicines as they lack scientific evidence to support their effectiveness (Cooney et al. 2013). Physical exercise releases the endorphin serotonin, a neurotransmitter that is associated with promoting happy emotions (Harper, 2010). It is an inexpensive therapeutic resolution to prevent and treat those who suffer from depression (Larun et al. 2006). There are multiple forms of exercise, both low and high intensity that people are able to implement into their daily lives, in order to address feelings of depression, and promote the release of serotonin. An increasingly popular non-pharmacologic, low intensity activity is yoga (Li & Goldsmith 2012). Traditionally, the word “yoga”, meaning “union”, originated from the ancient Indian language Sanskrit (Feuerstein G, 2010). In terms of yoga, union is defined by uniting your mind, body and breath. The literature is extensive in the ways in which yoga alleviates depressive symptoms. Through intense relaxation of the mind and body, yoga causally relieves tense areas of the body that carry the most stress (Li & Goldsmith 2012). As there are various forms of yoga, further research is required to determine which particular heterogeneous is the most beneficial. Furthermore, it is clear that exercise is related to reducing physical pain within the body (Prudden, 1985, p.7-12). Exercise has been proven to play an important role in the management of reducing pain associated with the musculoskeletal and nervous system (Prudden, 1985, p.7-12). It is therefore clear that exercise benefits both our physiological and psychological state, which in turn leads to an improved quality of life. As fitness levels increase, so do the level of endorphins released, which subsequently leads to a heightened feeling of self-sufficiency to improve physically and mentally, encouraging one to continue (Li & Goldsmith 2012). The American Heart Association (2012) states that physical activity is beneficial to strengthen your vital organs, improve energy levels, reduce stress, assist in insomnia, and develop a positive self-perception; these factors contribute to enhancing a person’s quality of life. Contradictory to the traditional approach of treatment is prescription drugs. Increasingly common in today’s society, tricyclic drugs are antidepressants that have been designed specifically to target the chemicals in the brain that are presumably linked to depression (Cox et al. 2014). Studies indicate that tricyclic drugs are effective in the treatment of depression amongst adults, with ambiguous results related to their effectiveness on children and adolescents (Cox et al. 2014). Tricyclic drugs are universally prescribed (Hazell & Mirzaie, 2013). Data collated from thirty-five studies with over two thousand participants indicated that people’s response to the drug was that of a placebo effect, rather than chemical reactions in the brain from the drug itself (Hazell & Mirzaie, 2013). Studies found that the recommended dosage was poor (Hazell & Mirzaie, 2013), implicating that a potential and unnecessary raise in toxicity levels were possible (Hazell & Mirzaie, 2013), which in turn, may place people at risk. Confirming this theory, statistics indicate that suicide rates are significantly higher (18.6%) in those who were prescribed antidepressants. By comparison, those who chose physical therapy had a minimal suicide rate of (3.9%) (Cox et al. 2014). Depression affects approximately one in 20 adolescents (Larun et al. 2006). A noteworthy side effect of the disease is substance abuse. This therefore suggests that encouraging that temptation through the prescription of antidepressants will not be beneficial for sufferers (Furukawa, Mcguire & Barbui, 2003). The significant side effects of antidepressants are weight gain, short-term relief of depressive symptoms and vertigo (Larun et al. 2006). Obviously none of which are beneficial for adolescents suffering from depression. Additionally, this may suggest that general practitioners who prescribe antidepressants to patients are lacking responsibility and moral integrity (Burgess et al. 2001). Conclusively, the research undertaken strongly indicates that exercise is more beneficial than antidepressant medication in the treatment of depression amongst adolescents. Research indicates that physical exercise is the safest and most inexpensive form of antidepressant, with benefits coinciding physically and emotionally. Physical exercise is a long-term treatment and prevention for current and potential depression sufferers. The alternate form of treatment, namely, tricyclic drugs evidently require further research to determine their efficiency in the treatment of depression amongst adolescents. Based on current research, prescribed antidepressants are a short-term fix that slightly reduce feelings of dejection. A majority of their positive results have stemmed from placebo. Research also suggests that these particular drugs are unsuitable for young children and adolescents, increasing the risk of depression manifesting until adulthood. If depression is carried through to adulthood, it is even more debilitating for sufferers. Dependant on socio-economic status, prescribed antidepressants may also be a financial burden, increasing anxiety levels of those who feel they rely on antidepressants but cannot necessarily afford them. Based on the above research, speculation can be raised that doctors who prescribe antidepressants are manipulating their responsibility to clients by scientifically masking symptoms through medication rather than healing through a natural and traditional approach. Burgess, S, Geddes, J, Hawton, K, Taylor, M, Townsend, E, Jamison, K & Goodwin, G. Lithium for maintenance treatment of mood disorders. Cochrane Database of Systematic Reviews 2001. Issue 3. Cooney, G, Dwan K, Greig, CA, Lawlor, D, Rimer, J, Waugh, F, McMurdo, M & Mead, G. Exercise for depression. Cochrane Database of Systematic Reviews 2013. Issue 9. Cox GR, Callahan P, Churchill R, Hunot V, Merry SN, Parker AG, Hetrick SE. Psychological therapies versus antidepressant medication, alone and in combination for depression in children and adolescents. Cochrane Database of Systematic Reviews 2014, Issue 11. Furukawa, T, McGuire, H & Barbui C. Low dosage tricyclic antidepressants for depression. Cochrane Database of Systematic Reviews 2003, Issue 3. Harper, D. Dictionary.com. “Depression” in Dictionary.com. Retrieved 3 May 2015 from http://dictionary.reference.com/browse/depression. Hazell, P & Mirzaie, M. Tricyclic Drugs For Depression In Children and Adolescents. Cochrane Database of Systematic Reviews 2013, Issue 6. Larun, L, Nordheim L, Ekeland, E, Hagen, KB & Heian, F. Exercise in prevention and treatment of anxiety and depression among children and young people. Cochrane Database of Systematic Reviews 2006, Issue 3.